The winner of Russian Bear’s 2018 #IAMNEXT competition — Onke Nomangola (NankOo) — had his very own music video screened on MTV Base. The video was for his collaboration single Sosha, which was created in conjunction with award-winning South African rapper Kid X.
Khayelitsha-born NankOo was voted by South Africa as the 2018 #IAMNEXT winner out of over 400 contestants from across Mzansi. "I have been trying to make it in the industry for 10 years and it got to the point where I was really tired of not being recognised," says NankOo. "I felt like it wasn’t worth fighting for anymore, but after winning the Russian Bear #IAMNEXT competition, everything changed and I got the motivation to keep going. I now finally have a chance to break through," NankOo adds. Between May and July 2018, aspiring hip-hop artists from across the country had the chance to aim and lay down their best bars during recording sessions in each city. The country then had the chance to vote for their favourite. On Monday, 13 August 2018, the top three artists were announced and, two weeks later, South Africans crowned NankOo as the #IAMNEXT winner. "[Sosha] is about who I am and how I got to the stage that I’m at right now. The song also features Kid X’s side of the story. We started rapping back when it wasn’t cool, but it’s now popular, so the song is also a warning, as you will hear the hook says passop to others [and telling them ] not to rap just because everyone else is doing it," NankOo says. "We are proud to be the catalysts for grassroots talent, like NankOo, to be able to launch their musical careers and take South African hip-hop to the next level," concludes Russian Bear brand portfolio manager, Lauren Justus. You can buy or download the song on all digital platforms here: http://africori.to/sosha. For more information, visit www.iamnextsessions.russianbear.co.za. 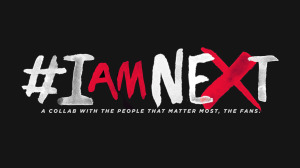 You can also follow #IAMNEXT on Facebook or on Twitter.